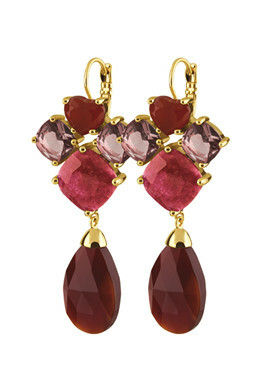 Stunning drop earrings inspired from old chandeliers that will look beautiful at any event! 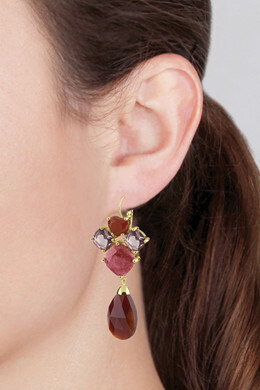 The earrings are made with glass crystals and semi-precious gemstones in different shapes and sizes. This one is gold toned finished with glass crystals, carnelian stones and red jade.